"Places to EAT, Places to MEET"
Frontpage › Forum › People & Places of Wolverhampton › "Places to EAT, Places to MEET"
This topic contains 3 replies, has 2 voices, and was last updated by Billy 4 years ago. This thread will be all about Cafes and Restaurants and eatinng houses, in bygone times. 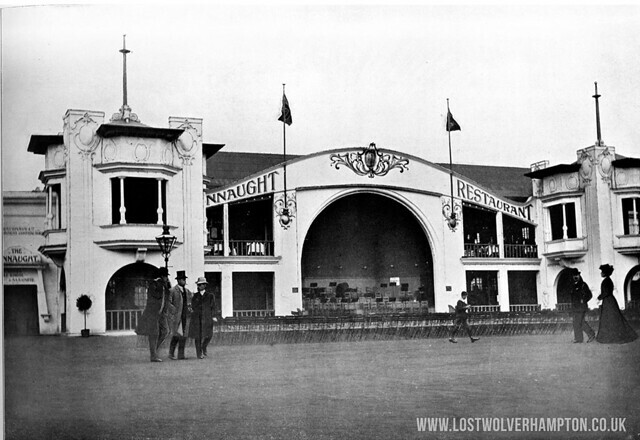 This was probably the biggest Restaurant built in Wolverhampton. Built for the 1902 Exhibition in the West Park. This Majestic Building closed along with the rest of the Exhibition and was demolished less than 24 months after it was built. It is my intention onn this thread to quiz and stir the memories of the older members and enlighten the knowledge of the younger set. As I said before This thread will be all about Cafes and Restaurants and eating houses, in bygone times. So my first question for you is this.- Two brothers from italy, Aldo and Frank, opened their first British restaurant in 1955, What was their surname and were was their Wolverhampton. restaurant sited. The two brothers from Italy, were indeed Aldo and Frank Berni, who opened their first British restaurant in 1955, and built up a large chain across the country. 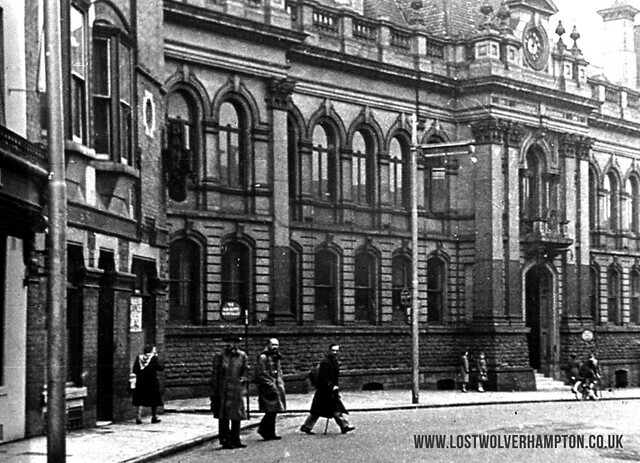 This pub was originally known as The Town Hall Hotel, named to compliment the Old Town Hall, on its left. it was subsequently leased to Berni Inns by Banks’s Brewery, on 31st May, 1967, becoming a Berni Inn,. In the late 1980’s the lease wasn’t renewed and the Public House was refurbished and became The Town Hall Tavern, the Terrazzo Café Bar, and then the Little Civic. Now used as a bar called Numa.? I don’t think there can be many who, at some time or other, didn’t go for a meal at the Berni. Steak and chips, followed by Black Forest gateau or rumbaba, with a bottle of Blue Nun or Leibfraumilch to slake our thirst! Susan Richmond refers to it as the “Berni Inn”. on Mark Walters post on Wolverhampton Past and Present.To me in the 1950’s it was known with affection simply as the T.H. As the plaque say’s built in 1874. In the mid 19th century close to The Market Place and High Green there were three licenced houses adjacent to each other. All three were named after animals of the Jungle. It has been said Queen Victoria as a little girl in 1832, stopped of at the larger of the three, The Red Lion. with her mother the Duchess of Kent on route to Trentham. 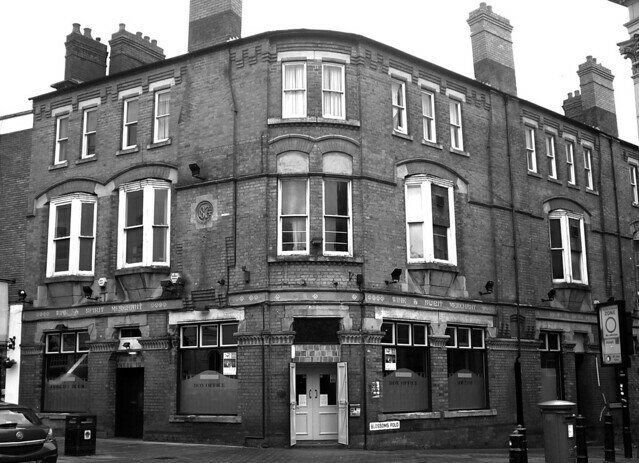 And when this notable coaching inn a little later became redundant it was used by local Government for their meeting house, finally being replaced by a purposely built Town Hall in 1871, which still stands today. “The Tiger” public house next door on its right was also rebuilt alongside it. 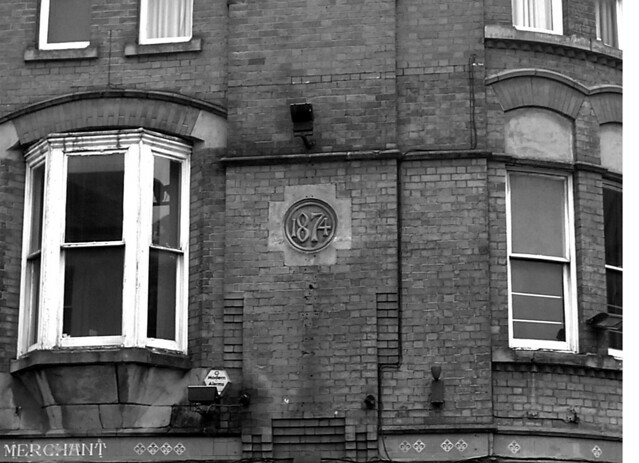 Unfortunately its original Victorian facade disappeared in the 1960’s.